We’re here to share some of our favorite holiday cocktails – and for the kids/those who don’t drink… you’re not stuck with sparkling grape juice this year! Each of these can be prepared as a mocktail! These are a bit more fun than your choice of decaf, regular or Irish coffee… check ’em out! Did someone say bellini? Known as the mimosa’s cousin, bellinis are a great way to class up any gathering — and we’ve added some color and flair to bring the Christmas spirit. I’ll toast to that! 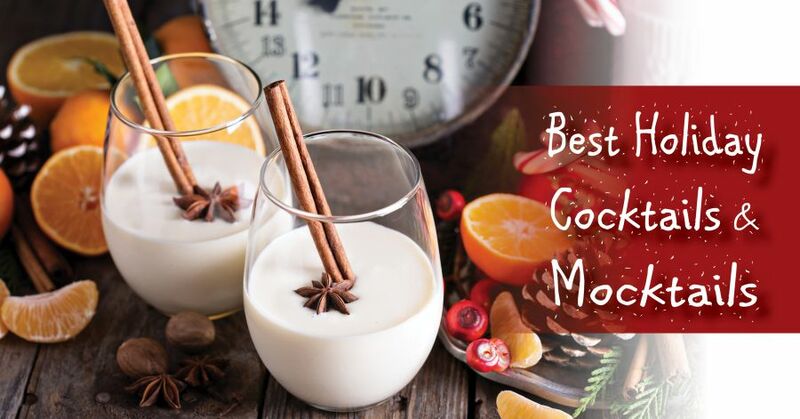 This was my first time making homemade eggnog – and I was nervous… but it couldn’t have been easier! And might I add… WOW it was delicious. Warning… this recipe is just not gonna work for anyone on a health kick this holiday season. Separate the egg yolks from the egg whites. Save whites for a healthy omelette! Whisk together egg yolks and sugar until creamy. Bring cream, milk, salt and nutmeg to a simmer in a large saucepan. Turn heat off. The next step is what blew my mind – yes I know what tempering eggs is all about, I’d just never done it myself before – so was afraid I would end up with scrambled eggs… but alas, I nailed it! Slowly ladle a little of the hot mixture into your whipped egg yolks, whisking to combine. Continue this step until all of the cream mixture is incorporated into the eggs (don’t stop whisking!) Pour the whole mixture back into your saucepan, stirring constantly on low heat for 6-8 minutes. Remove from heat, stir in vanilla and pour into serving container. Chill in the fridge and serve with or without a shot (or two) of your favorite eggnog friendly liquor! Seriously… YUM! A delicious classic that’s sure to warm up the whole family! Ditch the store bought cider and impress (and intoxicate) your in-laws this Christmas! If you don’t own a juicer… fine. But fresh juiced apples work best for this recipe. Umm… just put everything in a pot (except liquor!) and bring to a simmer for about 30 minutes. That’s it! 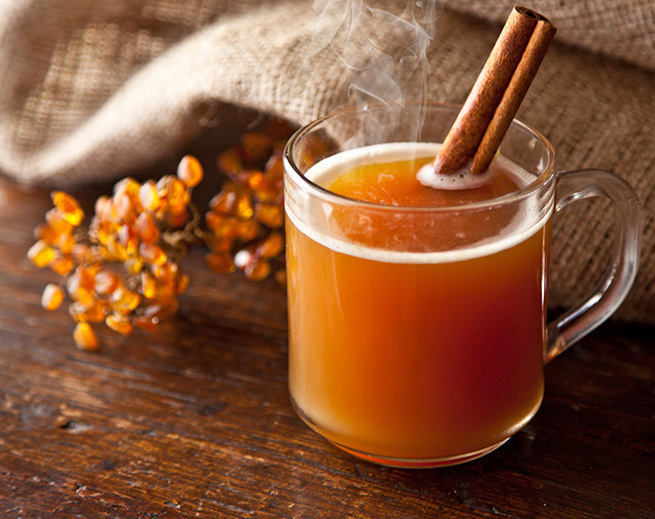 Strain your cider, add liquor and ENJOY! I take Godiva white chocolate liqueur and mix with vodka to taste, cream and ice in a blender. It comes out frozen. I forget what they call it, I just call it tasty! Previous Previous post: Traditional Tales: Whose Idea Was the Christmas Tree?